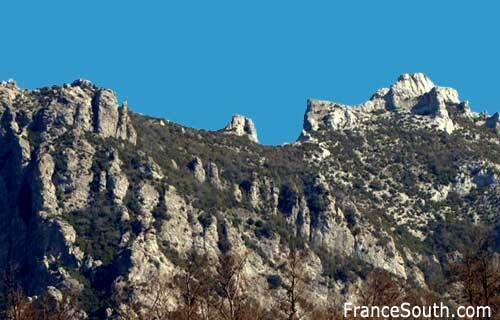 Crowds gather for the end of the world at the “sacred mountain” of Bugarach, the highest point of the Corbières at 1231 meters, situated in Languedoc Roussillon, Southern France. Mayan apocalypse 21/12/12: French authorities have pleaded with New Age fanatics, sightseers and media crews not to converge on Bugarach, where some believe will be one of the few places spared when the world supposedly ends. However crowds including approx 250 Reporters have already arrived there. Jean-Pierre Delord, the mayor of Bugarach, said: “I am making an appeal to the world – do not come to Bugarach.” He added that police will from Wednesday block access to the southwestern village of 200 residents. Routes will also be blocked to the nearby Pic de Bugarach, a French mountain where rumour has it the hilltop will open on the last day – December 21 – and aliens will emerge with spaceships to save nearby humans! Around 150 police officers will be on duty – with more on standby – to turn away visitors from Bugarach. Although some locals are very happy with events as they are renting out rooms for 1500 Euro! 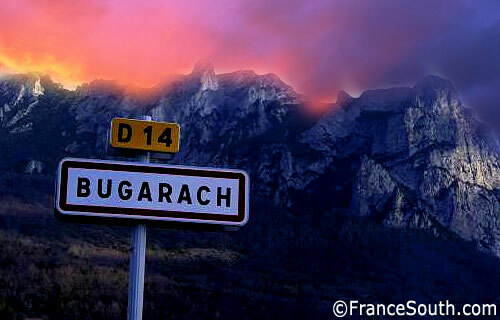 See more about the end of the world at Bugarach !